Lugar De Padriñan, S/N, 36960 Sanxenxo, Spain. The Augusta Spa Resort hotel sup. is a project conceived like the greater Spa center of Galicia, located in its tourist capital, Sanxenxo, where the hotel counts on 14000 m2 of gardens and green zones to only 250 meters of the center and to 600 meters of the Palace of Congresses and the main beach. The hotel has 107 rooms distributed in 48 doubles, 51 family suites and 8 Junior suites. 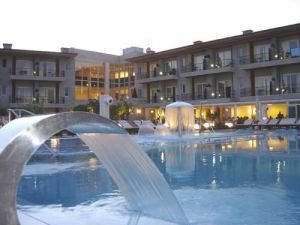 The Spa center counts on a great variety of facilities and services: 3 indoor climatized swimming pools, dynamic swimming pool with water beds, 5 jacuzzies, Vichy massages cabins, and all kind of massages and treatments. 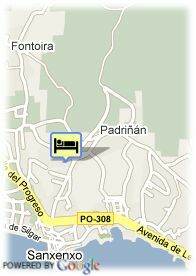 The hotel is 30 minutes from Vigo, 20 from Pontevedra and 40 from Santiago. Paid open air parking at the hotel (6.42 €), Busparking. Beach, Centre, Museum Area, Near the historic centre, Near shopping centre.